We are Providing a service total solution about All types of Plastic injection moulding machines and Rubber press machines. 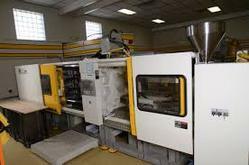 We dealing with New and second hand plastic injection moulding machines. Emphasizing on increased demands of industry, we are providing Injection Moulding Machine Maintenance Service. Provided service is much esteemed by our customers due to its flawless and timely execution. This service is performed underneath the strict supervision of our competent professionals using a best tools and contemporary technology. Being one of the renowned enterprises, we are engrossed in presenting Injection Moulding Machine Repairing Service to meet the detailed necessities of our clients. Provided services are delivered under the guidance of talented executives. Moreover, these could be modified to match with the varied desires of our patrons to accomplish their trustworthiness. Backed by highly accomplished personnel in this arena, we are offering Injection Moulding Machine Card Repairing Service. A team of dexterous personnel works in close coordination with our patrons to impart these services as per their needs. Provided services are largely valued amid our patrons for their on-time execution. 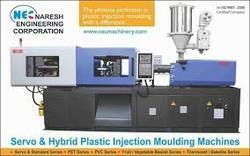 We provide Injection Moulding Machine Repairing Service to our patrons at nominal costs. This service is enormously admired by patrons owing to their stress-free completion and reliability. These services are rendered by industry capable professionals who work in proficient way to render this service within prearranged time frame. Our offered Die Cast Mould Repairing Service is widely accepted among patrons for our consistency and cost-effectiveness. These services are provided to all patrons from commercial and domestic industry. Our presented services are rendered by proficient employees employing modern technology and tools.